Whether you’re planning a spectacular full day including a civil ceremony and reception or something a little more intimate, we have the perfect room and package for you. 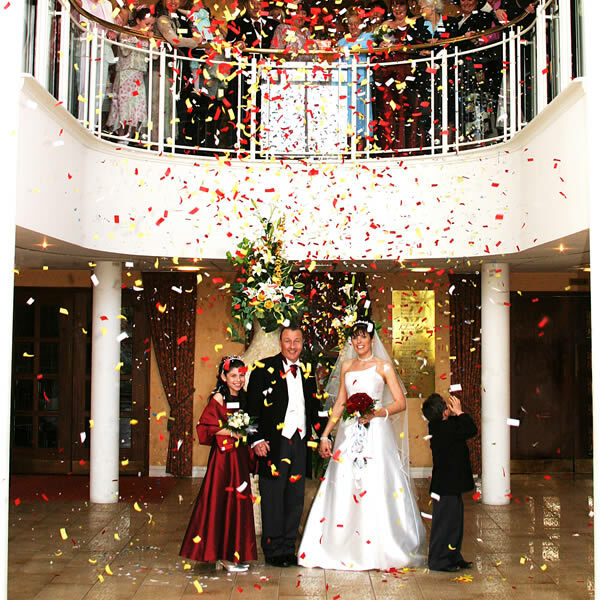 Our vastly experienced wedding coordinator will be with you for the entire planning process, right through to the special day itself, making sure you have a truly exceptional experience. Our brochure is designed to give you a flavour of what we can offer and the associated costs, but it is by no means exhaustive – we place a strong emphasis on tailoring the day to your exact requirements. With all inclusive wedding packages starting at £2,550 up to fully bespoke luxury weddings days, we have the perfect package for all tastes and budgets.